Capacity building at both individual and institutional level plays a key role in ensuring the success of innovation strategies that complement technological progress. Capacity building must go beyond a simple training component, and it should be designed to fully exploit the power of human capital as one of the crucial resources at local and national level. This platform aims at providing advanced competencies in the sectors of energy, environment and industrial innovation. The energy profile trains highly skilled technicians in renewable energy systems, energy efficiency and energy planning. The environment profile focuses on risk protection and prevention, climate change and water management. The industrial innovation profile promotes the new frontiers of innovation such as industry 4.0, Internet of Things/Big Data/Data Analytics, social innovation and circular economy. The Politecnico di Milano leads platform # 3 in close collaboration with the Politecnico di Torino, the University of Trento, the University of Bologna, the University of Napoli “Federico II”, the University of Padova and the University of Venezia. The University of Milano, the University of Reggio Calabria, the University of Roma “Sapienza” and the University of Bergamo also support this platform. Citizens of Kenya, Mozambique, Pakistan, Albania, Lebanon, Ethiopia, Tunisia - who are resident in their home countries - are eligible for the scholarships. According to the Qualifications Framework for the European Higher Education Area, and to the Italian higher education system, PfK PhD scholarships offer the opportunity to earn a PhD degree. Academic activities are scheduled over 36 months, tentatively from November 2019 to November 2022. 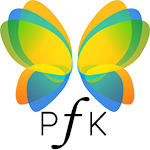 PFK PhD programme 2019-2022 provides a total of 6 scholarships for students coming from the above mentioned eligible countries. The scholarship covers international travel expenses (1 return ticket from/to home country), health insurance, university fees and VISA related costs. PhD fellows will receive a monthly allowance for living expenses. Candidates can apply only to one PhD program. Explore the academic offer, choose the most suitable PhD program. Submit the required documents to PFK.applications@aics.gov.it. Incomplete applications will be rejected. Candidates can apply exclusively to one PhD programme. Inform the Agency of your application by filling the notification form. Applications submitted to PFK.applications@aics.gov.it , which are not matched by the AICS notification form, will not be considered.